You might be living under a rock if you don’t know about the OUKITEL K10 that comes with the biggest battery in any smartphone. The company is running a giveaway, and this is your chance to get the amazing phone for free. This giveaway is being organised to celebrate the first-ever sale of the phone. OUKITEL has partnered with Gearbest as the exclusive retailer of the phone for the global sales. The global first pre-sale of the OUKITEL K10 will be held on January 15 and the giveaway has been announced to celebrate this sale. For your information, the giveaway is live from January 11 through January 25 for your participation. 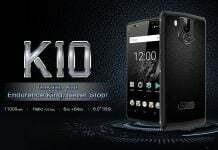 In order to take part in this OUKITEL K10 giveaway, you need to do a few simple things. First of all, you will have to subscribe to the OUKITEL YouTube channel. 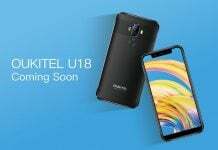 The company has released a video on its channel regarding this giveaway that you need to like and comment on it telling what is your favourite feature of the OUKITEL K10. OUKITEL K10’s best thing is its large 11000mAh battery that can last for days on a single charge. On the other hand, the phone also has a 6-inch FHD+ 18:9 display and has dual cameras on the back. It has 6GB of RAM and 64GB of internal storage which can be further expanded. 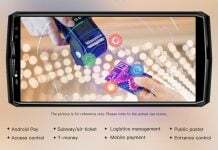 It has an octa-core processor and support 4G on dual SIMs along with a USB Type-C port. 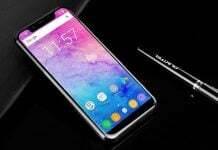 The OUKITEL K10 will go on sale on January 15 on Gearbest for $299.99. 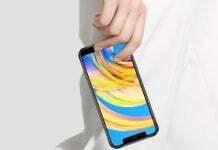 For giving you a better deal, OUKITEL and Gearbest have joined their forces to offer you an extra discount of $50 when you purchase the phone. 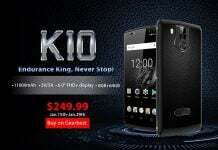 You need to use the coupon code – Oukitel K10 – to get the discount. The phone will be available in two colours – total black and black with gold.